Raco Electrical handy box has two 3/4-Inch end knockouts, four 3/4-Inch side knockouts and a 3/4-Inch bottom knockout. 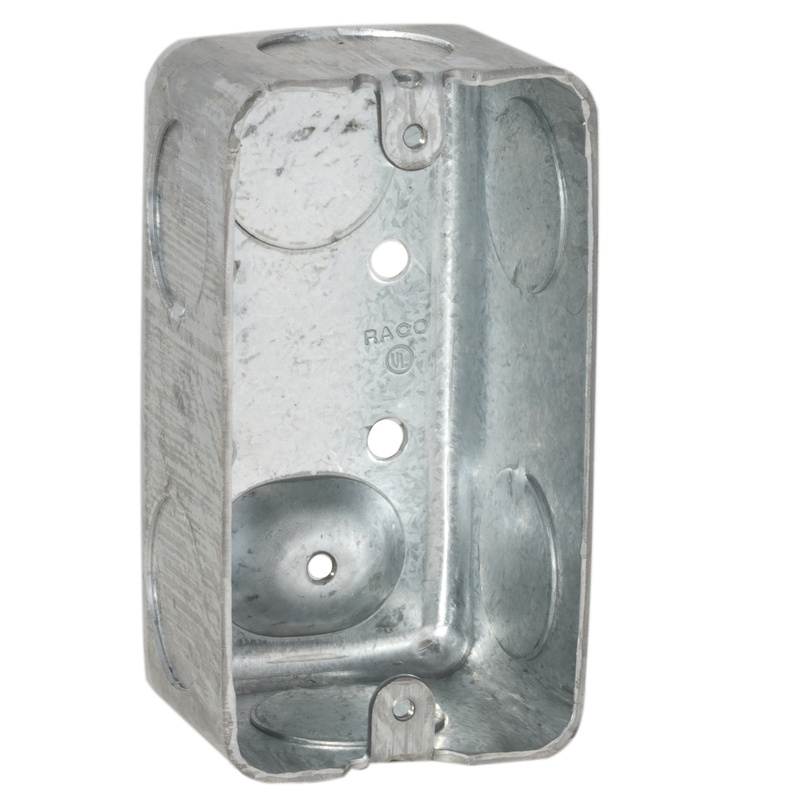 The box with drawn construction, is made from galvanized steel for added strength and corrosion resistance. It has a raised ground screw feature to eliminate the interference in surface mounting applications. This 1-7/8-Inch deep box measures 2-Inch x 4-Inch and has a volume of 13-Cubic-Inches. It has conduit wiring system and can be used in 2-Hour rated walls. It is ideal for convenience outlets, switch boxes, small junction boxes and exposed work applications. Handy box is UL E195978 listed.